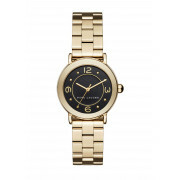 A must have for every modern woman, the gold Riley watch features a striking black round face. 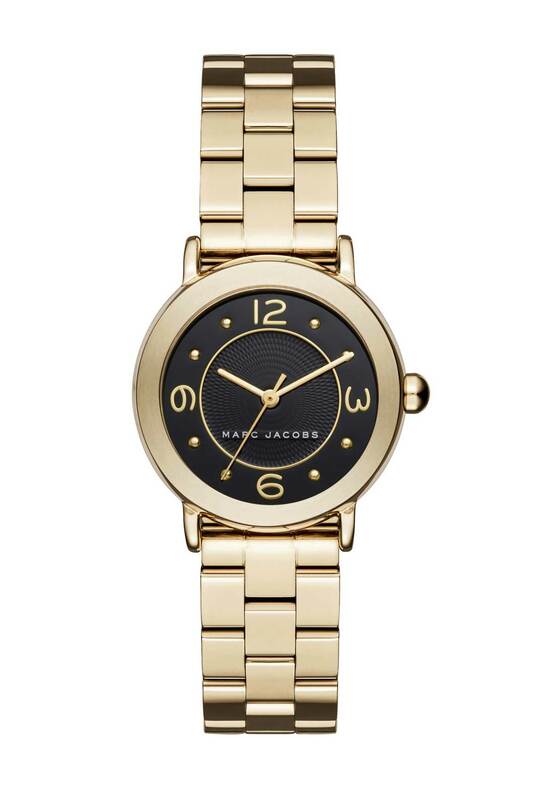 Designed by Marc Jacobs with a slim gold bracelet strap. Details include numerical and dot hour markers, three hands and logo branding.